​City dwellers have lost touch with nature, there is no doubt on that front. We grow up in this concrete jungle, where nature is nothing more than a mirage, so it makes sense that we have children who think that cheese grows on plants or believe that animals provide us with pasta. Hence educating city dwellers on the importance of environmental protection is like preaching to deaf ears; the absence of nature in our daily lives makes it all the more difficult for us to grasp its significance. Nature, however, has its own way of telling us how it feels. Currently considered the strongest storm of 2018, typhoon Mangkhut roared its rage across Hong Kong, whipping up the sea and dumping tons of plastic waste on the shore, some dating back to the '90s. It was a wake up call to all of us that what goes around comes around, and that nature is far from the silent victim we thought it was. 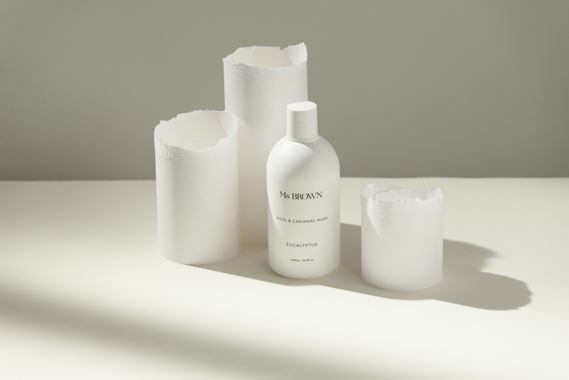 The beauty industry has taken note of the sign, and more brands are taking strides towards becoming more environmentally conscious. Australian brand Ms Brown is one of them. Surrounded every day by natural beauty, she was constantly exposed to the eco-system and forced to consider how human actions have an impact on it. 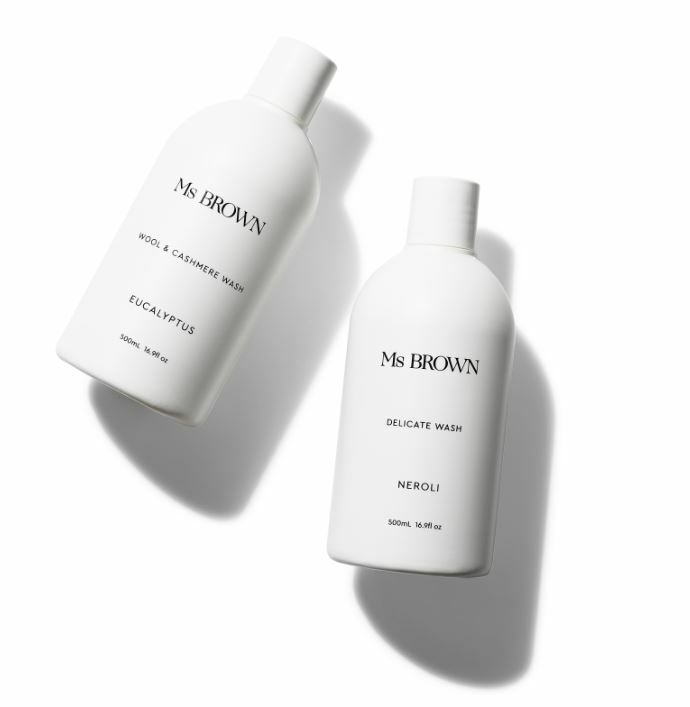 After all these years, that respect has brewed into something else: Ms Brown is an environmentally conscious lifestyle brand with a simple, considered and natural approach to products for the home and body, insisting on no synthetics, parabens, sulphates or toxic chemicals. One of the brand's hero products is the wool and cashmere wash, a tribute to her roots in Kangaroo Island. 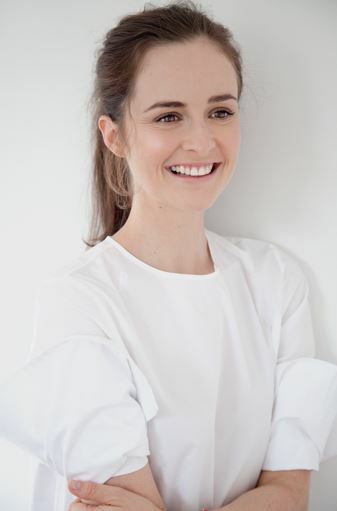 “Growing up on a merino wool farm we wore wool a lot. When you’re wearing something every day you have to wash it – I grew up being very comfortable wearing it and washing it. But after I grew up, I realised there was not one laundry wash out there that was as special as the clothes I wanted to wash with it. Many people are still nervous about caring for wool clothing, but they don't need to be, as wool is by its very nature a resilient fabric that’s also naturally stain resistant. I suppose my mother initially showed me how to wash it correctly (in tepid water either by hand or on a gentle machine cycle using mild soap and eucalyptus) and I filled in any gaps as I became older and more independent with Google. Now, I love that many people ask me for advice on how to wash their clothes using our garment care collection. “My goal when creating Ms Brown was not only to ensure it wasn’t part of the overall environmental problem, but that it would also help to solve it. By creating an alternative to synthetic laundry detergents and dry cleaning we are helping to reduce humans’ and the environment’s exposure to many dangerous and toxic chemicals.